John is a 3-time Olympian and Bronze Medalist in Beach Volleyball. In addition to playing 15 years of professional beach volleyball, John has played many years of indoor volleyball too. John has coached for many years at various levels from aspiring Olympians to young beginners, including being the head coach of the Havergal College Volleyball program and their 5 teams. 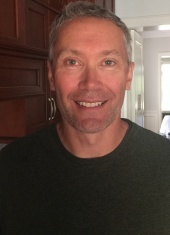 John will be the head coach of the Leaside 18U girls team this year. Marc is a current member of the University of Windsor Men’s Volleyball team. During his second year he helped his team seize a 3rd place finish at the OUA Championship, leading him to be a part of the first team in Lancer history to make an appearance at the USPORTS National Men’s Volleyball championship. After choosing to take a year off to complete his Co-op work term at Hydro One, Marc will be helping coach the 18u boys for the 2018-2019 year. As a former coach of the Sky Volleyball club in Windsor, he brings ample experience and skill to the gym. Marc, not only demonstrates energy and love for the game, but is a great leader/role model. Teresa returns to Leaside for her second season coaching with us. As a former national level gymnast, Teresa moved into team sports in her teenage years starting with soccer, and onto volleyball. After playing for the Humber Hawks Volleyball team and winning provincials, she decided to move to a different side of the bench and start her coaching journey. Teresa is an Advanced Development Coaching course graduate and a certified Yoga Teacher who has mentored a wide range of athletes including collegiate and professional level players. This season Teresa looks forward to developing strong mental and physical skill sets in her athletes. Stephane is excited to return to Leaside as a coach for the 18U Girls White team. As a teacher at Lawrence Park Collegiate Institute, Stephane has helped to coordinate the volleyball program there for the past 7 years, while coaching both junior and senior boys, girls, and coed teams. After several years of very successful teams at Lawrence Park, Stephane is looking forward to bringing the same level of excellence and success to his Leaside team again this season. Stephane provides a great deal of knowledge, experience, and energy, which he looks forward to using in helping the 18U Girls White team develop their technical, physical, and mental skills this season. 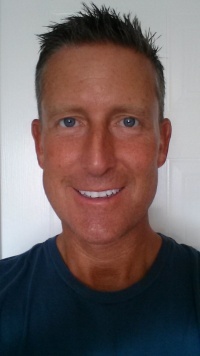 Neil Bolton has a wealth of volleyball experience coaching over 25 years both boys and girls volleyball within Canada and the USA. Neil's success as a coach has seen many of his athletes continue their volleyball success into Canadian / USA Universities, Professionally Abroad and represent the Canadian National Program. Neil has a strong passion for volleyball and believes in nurturing young volleyball athletes their dream to be the best on and off the court. Prior to Neil’s coaching he played volleyball for Sheridan College winning 2 Provincial Championships and a National Silver and Bronze medal. Neil also had success winning Silver in the 2000 Canadian Masters Championship. Neil dabbled on the Canadian beach tour back in the 90’s when John Child was the hype but never could stand for the elements and stuck to court volleyball playing for several Men’s Club Volleyball teams. Neil is excited to be part of the Leaside program as a Co Coach of the 17U Girls Program and 12U Boys program. Adam is now in his 4th full year as a coach with Leaside Volleyball. As an athlete, Adam was a member of the University of Toronto Varsity Blues volleyball team. He holds both a Bachelors degree in Physical Education and a Masters degree in Human Kinetics. Adam is currently finalizing his NCCP Level 2 Certification. Coming off an amazing year coaching the 14U boys, Adam is excited to make the move to 15U and continue to lead the development of some great young athletes! Jake is excited to be joining the Leaside 15U Boys coaching staff this season. Jake is a Health and Physical Education teacher at Northern Secondary School, where he coaches both the Junior Boys and Senior Girls Volleyball teams. Over the last seven years, Jakehas led numerous TDSB high school volleyball programs to successful seasons, including a City Championship and OFSAA appearance in 2013 at C.W. Jeffreys C.I. 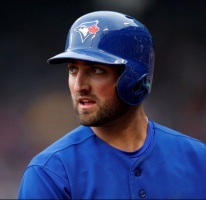 Jakecurrently coaches the University of Toronto baseball team where he pitched from 2005-2010, and also enjoys running the Multi-Sport program at True North Sport Camps in the summer. Katie is a certified Development Coach entering her eleventh year of coach and her sixth year as a coach for Leaside. Katie began her coaching career in San Francisco where she worked with a high school Junior Varsity and Varsity Volleyball Program. Katie is currently a mentor in the "Changing the Conversation" program through the Ontario Coaches Association working towards supporting and developing women in coaching #shecancoach. Katie was a regional coach at the 14U High Performance Camp with the OVA in the summer of 2017 and is looking forward to bringing the spirit and practice of HP to her team. Katie's coaching philosophy this year is about putting intention into everything you do on and off the court to make you the best volleyball player you can be Interested in playing 16U for Leaside? Contact Katie at coach.katie.hutch@gmail.com. Salvatore (Sal) Taccone, a Level 2 certified coach, is excited to start his 5th season with Leaside. After a successful season with the 15U boys, Sal will continue to develop the team at the 16U level looking to improve the results from their 15U season. Some of the accomplishments during the 5 years with Leaside include: 15U Silver (Premier),17U 4th place Provincial finish, 17U 4th place National finish, 18U Humber College Pre-Season Gold, 18U McMaster Invitational Gold, 18U Florida Boys Bid Tournament Bronze and 18U Tier 3 National Gold. Sal has been involved in the game of volleyball for over 25 years as a player, OVA Provincial Official, and as a coach ranging from high school level up to Women’s Adult Division. Sal was also actively involved in the ADP summer program. Some of Sal’s other accomplishments include: 2 Gold and 2 Bronze National finish, Regional Summer Games Championships, Provincial Championships, and High School Championship. Sal continue to develop players that will have the opportunity to extend their playing years into university and most importantly, help them grow into respectful, confident and successful adults. This will be Heather's 6th year assisting with Leaside Volleyball Club, and she is excited to continue her development as a coach. Heather is a current member of the Canadian Beach Volleyball National. She first represented Canada internationally in 2008, and after graduating from university in 2010 Heather started competing full-time on the Senior FIVB Beach Volleyball World Tour. In 2012 Heather earned Canada a birth to the London Olympic Games, but narrowly missed out on qualifying after losing in the Canadian trials. In 2016 Heather represented Canada at the 2016 Olympic Games in Rio de Janeiro, where her and her partner finished in 5th place. Heather was awarded FIVB World Tour Best Defensive Player in 2015 and 2016. At the beginning of 2017, Heather teamed up with Brandie Wilkerson, and together are targeting Tokyo 2020 Olympic Games. Heather graduated from the University of Toronto in 2010 with a degree in English and Linguistics, where she was a member of the Varsity Women’s Volleyball Program. During her CIS indoor career, Heather was a five-time OUA All-Star, a two-time CIS All-Canadian, OUA Player of the year, and led the country in kills, aces and points-per-set. Bob is back for his 7th year coaching at Leaside! He's excited to be the Head Coach of the 15U girls team for the upcoming season! After finishing the 2017-18 season with back to back Bronze medals at Provincials and Nationals with the 17U Red team, he’s looking to help the 15U team reach their full potential. As a certified Level 1 coach, Bob is currently taking his Level 2 coaching certification and hopes to complete it over the season. Bob recently returned from the Ontario Summer Games in London where he helped coach three Region 2 beach teams. One of the teams went on to take the silver medal. Bob will also be coaching indoor for a 4th year at Havergal College where he helped the Junior team to win the CISAA championships this past season. Jenna is very excited to join the Leaside coaching team this year! She has a BSc degree in Human Kinetics from the University of Guelph and is currently taking her second degree in accelerated Nursing at the University of Toronto. 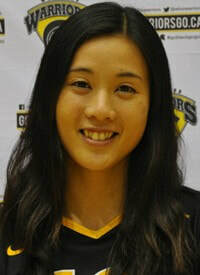 She is a Leaside club volleyball alum, having played for Leaside from 2008-2014. Jenna fell in love with the sport at a young age through watching her Dad play. She has a warm, energetic and encouraging coaching personality and is looking forward to joining the fantastic 15U girls coaching team for the 2018-2019 season! Fun Fact: Jenna was a multi-sport athlete and along with playing many years of club volleyball she also represented Canada at the 2014 Synchronized Skating French Cup in Paris and numerous other international competitions throughout her athletic career. Howie is entering his first year at Leaside after a 1-year hiatus from coaching. Previously, Howie coached many successful club teams over an 11-year period including 3 national championships and most recently a bronze medal at 2017 Nationals with 18U Lakeside Volleyball. 9 players from that 2017 roster are now playing University volleyball. Howie was captain and setter of the UofT Varsity Blues and received OUAA All-Star recognition in 1990 & 1991. A Certified Level 2 coach, Howie was named the OVA Coach of the Year in 2016 and is proud that many of his athletes over the years have gone on to play at the university level and some are currently on both the Senior Men’s Indoor National and National Beach teams. Howie is also a summer camp owner/director of Madawaska Volleyball Camp, Camp Robin Hood and Camp Walden. His son Zane is a member of the Queen’s University men’s volleyball team and was named the 2018 OUA Rookie of the Year and to the USports All-Canadian Rookie team. Howie is excited to play a role in advancing skill development and passion in our young athletes. As a former teacher and now summer camp owner/director, Howie is also committed to developing character skills that our athletes can use their entire life. Fun Fact: Howie & club director John Child played on the same rep soccer team for many years as teenagers. Djordje Ljubicic was a tremendous setter for the York men’s volleyball team in the early ’90s. He earned first-team OUAA all-star honours in each of his five seasons with the program (1991-96) and was the OUAA East rookie of the year in 1992. He helped the team win back-to-back conference titles in 1993 and 1994, earning the championship match MVP award in 1994, and he competed at the CIAU championships in each of those seasons. A team captain and a three-time team MVP, Ljubicic went on to compete on the FIVB World Beach Volleyball Tour for 10 years and represent Canada at the 2001 World Championships and the 2003 Pan Am Games. Djordje is a Toronto Firefighter and he still competes in the Masters’ division. He enjoys coaching young athletes in the Leaside Volleyball Club. In 2015, Djordje was inducted into the York University Sport Hall of Fame. Brad Willock is a former Olympic, professional, and Canadian University volleyball player. Brad played 5 years for the University of British Columbia (winning the Canadian championship in 1983) and played 7 years for the Canadian National team where he played over 400 matches for Canada and participated in the 1992 Barcelona Olympics. Brad also played and coached professionally in Spain for 4 years. He retired from playing in 1993 but looks forward to getting back on the court and developing a new generation of players on the 13U boys team. For the past 4 years, Brad has coached baseball in the Leaside community..
in a variety of sports her entire life. She fell in love with volleyball at a young age and has been involved with the game ever since. with Ontario Coaches Association program called"Changing the Game – Changing the Conversation" which is working towards supporting and developing women in coaching. This program has brought her to Leaside Volleyball and she hopes to improve her coaching with the club. Edilson is a President of a large Building Materials Company and even with his busy agenda he dedicates his free time to support develop kids in the sport he loves the most, volleyball. He has played school and competitive volleyball in Brazil for 12 years. This is his second year with Leaside and he is excited to bring the 12U girls to a different level and prepare them for their future in the sport. Coach Eddie strongly believes in developing team players and that hard work and that dedication can achieve great results. He currently has Volleyball Canada Development Coach Certification. Clara is looking forward to coaching at Leaside for the first time in 2018-2019. She competed in many Asian and International indoor and beach volleyball competitions such as the Asian Games and the FIVB World Championships as a member of Team Hong Kong. She also played for the University of North Carolina at Greensboro, as well as the University of Waterloo where she completed her Master's degree in International Development. Locally, she has played for Toronto Connex on the North American 9-man circuit since 2014, and has experience coaching at the OVA club level for 14U, 15U and 16U girls in recent years. ​Steven is excited to join Leaside after working with OVA club teams for 14U and 15U girls in the past 2 years. He is currently in training for the Volleyball Canada Development Coach Level 1 certification. Steven brings an enthusiasm for teaching and passion for sports, and besides volleyball, he also enjoys playing softball and soccer. He earned his BSc in Computer Science at Western and his MA in Environment and Development at King's College London, and has lived abroad in Germany, the United Kingdom, and China. Bart has been coaching for over 25 years starting with Women’s basketball at the University of Toronto Mississauga. He is High Five Certified and a member of the Coaches Association of Ontario. He has been coaching volleyball for the past 12 years. After coaching in the Outtahand Women’s league, Bart was invited to coach at an OVA club and has been developing young players ever since. For indoor, Bart is a Certified Advanced Development Coach and Trained Performance Coach. For Beach, he is a Certified Development Coach. In 2017, Bart received the OVA Recognition Award for his work as a club coach, OVA Spikes Clinician, March Break Camp Director, Summer Beach Camp Director, OVA High Performance Beach Development Coach, community coach, high school coach and FIVB volunteer. This past summer, Bart was the lead Junior Development Coach for Leaside’s Competitive Beach Training as well as a Regional Head Beach Coach for the Ontario Summer Games. Felipe played at York University from 2008 to 2013. After York, he joined the Full Time Training Centre in Gatineau and the Indoor National B Team in 2014. Felipe has recently decided to switch to the beach side and joined the Beach National Team in 2015. He won the 2015 Canadian Beach Volleyball Championship. Along with assistant coaching at York University, Felipe has experience coaching 13U girls, 13U boys, and 16U girls in past years.